Apple Market Share: While nobody knows for sure if Apple Inc. (NASDAQ:AAPL) has any plans to unveil a new product this year, such as a smart watch, the devices in its pipeline continue to roll forward with a great deal of momentum. For example, the Apple iPad (and mini) continues to perform at a very high level. In other words, Apple is holding onto just about half of the market. 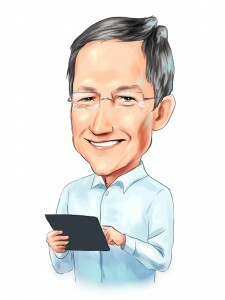 With the release of an updated iPad potentially hitting the market sometime later this year, it is safe to say that Apple Inc. (NASDAQ:AAPL) is hoping to grow this number even larger in the quarters to come. During the first quarter of 2013, the study notes that 40.6 million tablets were shipped. While Apple Inc. (NASDAQ:AAPL) continues to lead at this time, the company is not alone at the top. In fact, tablets that rely on the Android operating system are breathing down Apple’s neck with 43 percent share of the global market. In what many would consider somewhat a surprise, Windows powered tablets checked in with 7.5 percent of global share. As you can see, Apple Inc. (NASDAQ:AAPL) sales were given a boost by the company’s mini tablet. If you are an Apple fan, the fact that the company is still sitting at the top of the market may excite you. But don’t get too excited. When you look at the company’s market share during the same quarter last year, you will see a number of 63.1 percent. This means Cupertino dropped 15 percent to the competition.